Making these favors is super simple! 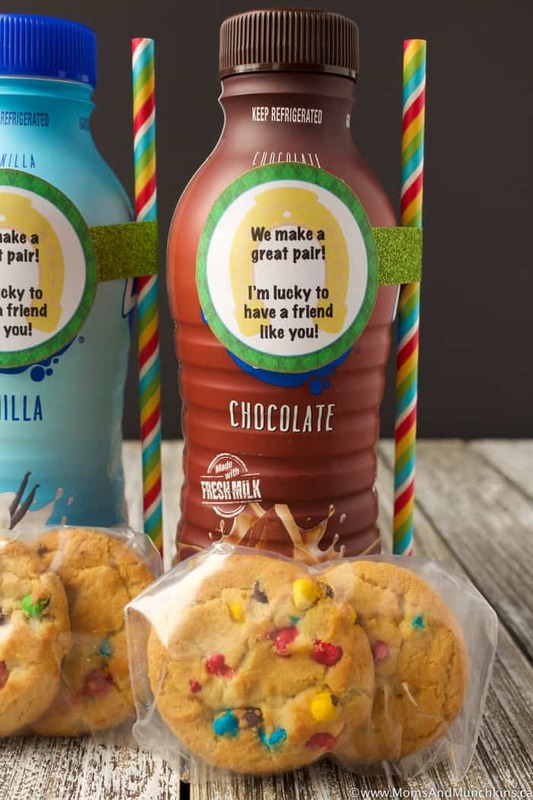 You’ll need the free printable tags, scissors and double-sided tape plus whatever pairing you’re going to use (I had Chips Ahoy rainbow chip cookies with milk bottles). Simply cut out the tags, then attach them to your treats with tape or ribbon. 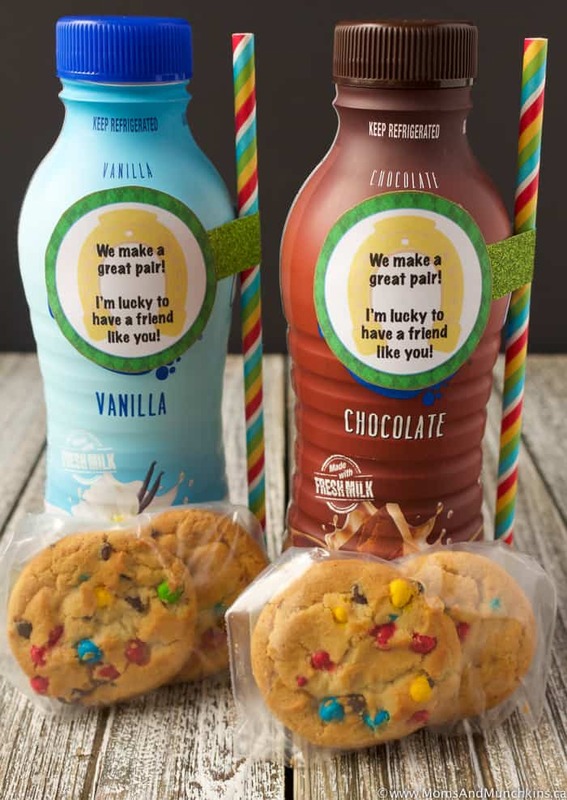 For more of a Rainbow theme (to go with the rainbow chip cookies), I also attached rainbow print paper straws to the milk bottles using washi tape. That’s it – done! Super easy, right? Now you just have to work on how to get these all to school or daycare. Visit our St. Patrick’s Day page for even more fun ideas like free printables, treat ideas, parties, recipes and more! 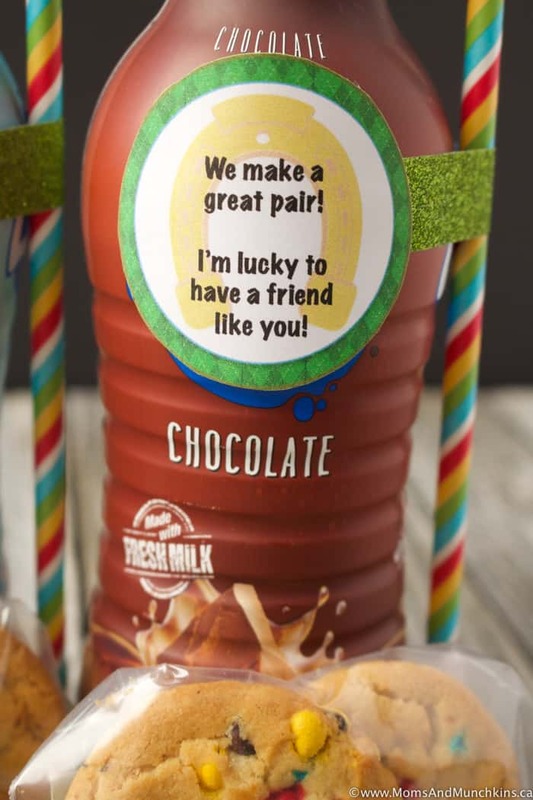 We have leprechaun trap ideas, delicious treats like Hidden Treasure Lucky Charms cupcakes, more free printables like Leprechaun Loot tags, Rainbow To Go tags and so much more! Stay updated on the latest family fun and home entertaining ideas by following us on Facebook, Twitter, Instagram and Pinterest. *Disclosure: Digital image and paper courtesy of Pixel Paper Prints.